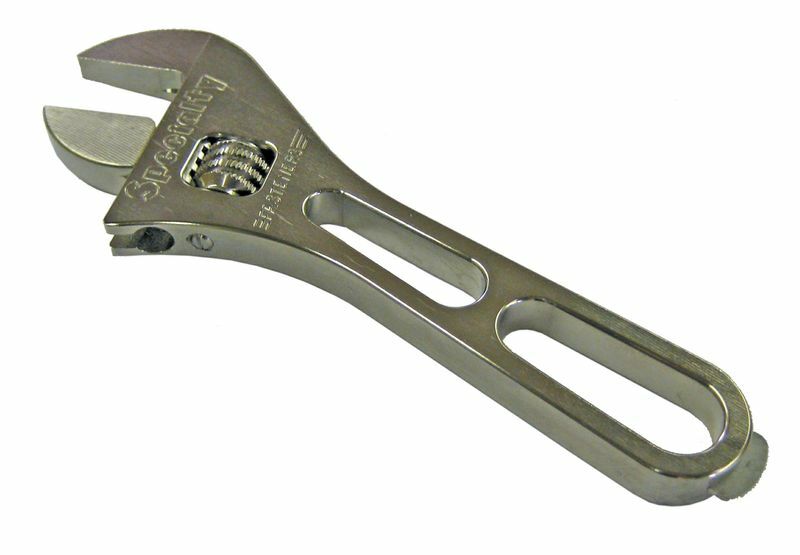 Adjustable AN wrench. Made from 7075-T351 Aluminum. 5.8 oz. Jaw opens up to -16 AN. Also has Dzus blade built in. Made in the USA. Made from 7075-T351 Aluminum. 5.8 oz. Jaw opens up to -16 AN. Also has Dzus blade built in. Made in the USA.